Dell is doing its part for charidee by making a RED hot statement with the expansion of its Art House series unveiling three desirable and exclusive designs for the RED charity. According to Dell, the RED artwork designs for its Studio line “express passion for art” and a “desire to make a difference” – although liking pretty things is a justifiable reason to want one too. 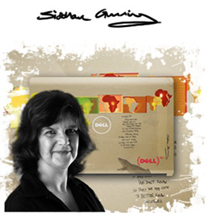 The artist behind each design has given the laptops their special touch, showcasing the unique vision of each artist passionate about the battle against AIDS in Africa. Let’s talk through the designs. The first (pictured above) is the work of Siobhan Gunning from Mombasa. ‘Shine Within’ quite clearly pays homage to Africa in both its purpose and design and probably necessitates you be a fan of Africa as a continent – literally. The next piece of artwork – Healing Patterns – comes from Bruce Mau. Other than connote images of Blockbuster and Bob Holness, the design represents “the chemical bonding of the anti-retroviral (ARV) drugs that help save lives, combining the patterns with inspirational thoughts about the fight against AIDS”. 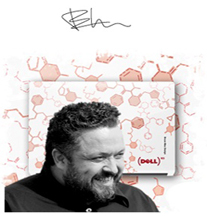 The inspiration comes from the science behind the fight against AIDS. 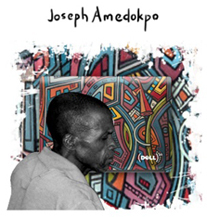 Lastly it’s the ‘New World’ by Joseph Amedokpo. Rather than taking inspiration from Picasso’s wonderfully wacky pieces of art, this colourful laptop takes its inspiration from his life as a professional artist, living in Nigeria, frequent chats with visitors and gaining global perspectives on people’s failures and weaknesses, strengths and hopes on his short wave radio. All personalised designs are available in either the Dell Studio 15 or the Dell Studio 17 models with prices starting from £468 (including VAT and delivery). Not particularly impressed with the designs? You could always opt for Dell’s other popular Art House designs by Mike King. In true RED charity style $20 USD of each arty lappy sold goes towards helping fund the (Bono founded) global campaign to save lives and fight AIDS in Africa.